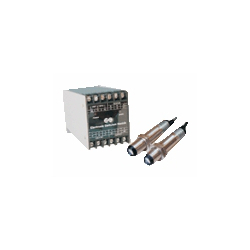 Providing you the best range of twilight sensors, cylinder position sensor, blow room switch, power packs, sliver brake sensor and anti crane collision switch sensors with effective & timely delivery. Housing : ABS plastic box. Dimensions : 140 x 40 x 30 mm approx. Our organization has gained recognition as the affluent firm of a qualitative range of Cylinder Position Sensor. The offered position sensor is manufactured utilizing high grade raw material and advance technology in accordance with the norms of industry. In addition, our position sensor is tested on diverse parameters in order to ensure its flawlessness. 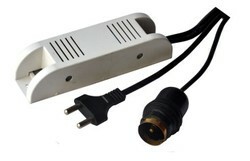 Our customers can avail this position sensor from us in different specifications. For reed switch type sensors polarity must also be observed for the proper functioning of LED. Connect brown wire in series with load positive (+) and blue wire to negative of power source. If polarity is reversed, reed switch remains functional but LED will remain in OFF state. sensor to prevent damage ( Refer Fig.3 ). Cable 2 core wire 2 core wire 2 core wire. 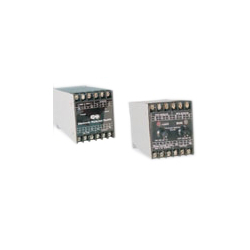 As an eminent enterprise, we are providing a wide assortment of Blow Room Switch that provide blow room switch for object detection. Our provided blow room sensor is developed by highly skilled professionals using finest grade raw material & latest technology keeping in sync with the norms of industry. Offered blow room sensor is stringently tested on various parameters in order to deliver defect free range. ON Time Delay Adjustable upto 10 Sec. 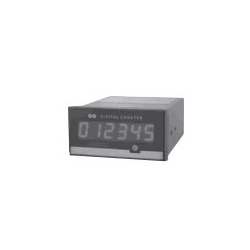 OFF Time Delay Adjustable upto 10 Sec. Logic Available AND / OR / BISTABLE / MONO etc. With the constant support of our dexterous crew of professionals, we are fulfilling the varied requirements of clients by offering Sliver Brake Sensor. This brake sensor is manufactured by our experienced professionals by utilizing high grade raw material and sophisticated technology. Offered brake sensor offers Sliver Brake Detection sensor for textile application. Besides, this brake sensor is stringently tested on various quality parameters to ensure its defect free range. Off Delay Time Adjustable upto 10 Sec.